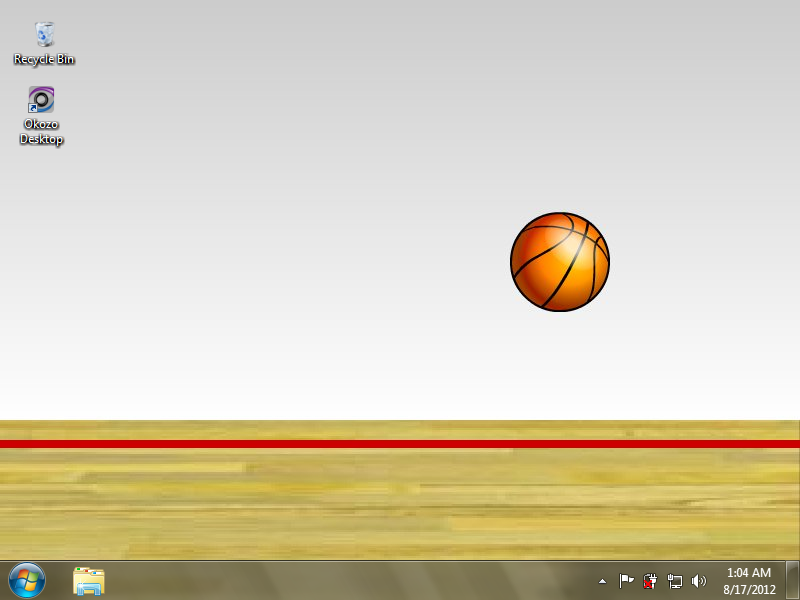 Get your game on with this fun and interactive desktop wallpaper. A virtual basketball game will always be ready and waiting in the background, with smooth, fluid animation making desktop basketball a professional-level sport. Get your game on with this fun and interactive desktop wallpaper. A virtual basketball game will always be ready and waiting in the background, with smooth, fluid animation making desktop basketball a professional-level sport. Practice your dribble or watch the 3D ball with awe as it instantly responds to your cues. Just make sure to have fun! A low-resource, lightweight animated desktop wallpaper. Safe and signed installer.